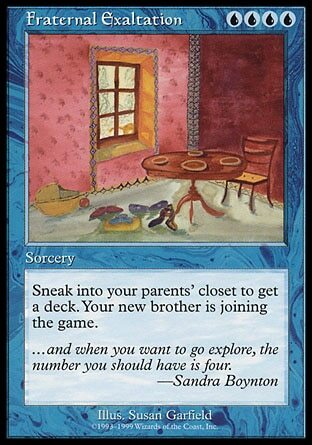 Richard Garfield created some cards for events in his personal life such as his marriage and the birth of his two kids. 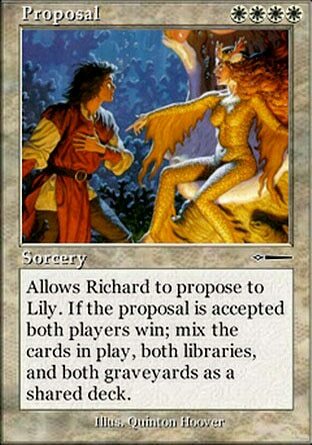 Proposal was a card created for Richard to propose to Lily (who accepted), Splendid Genesis was for the birth of their first child, and Fraternal Exaltation was for the birth of their second child. 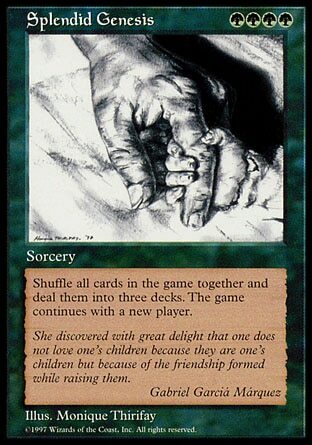 Both Splendid Genesis and Fraternal Exaltation can be purchased on TCGPlayer for $10,000 a piece. There were only a handful of each card ever printed, and they were given out to friends and family with only a couple ever making it to the secondary market making them a very expensive, highly collectible card.